Fight germs at home or on the go with our tottle bottle antibacterial hand sanitizer gel. 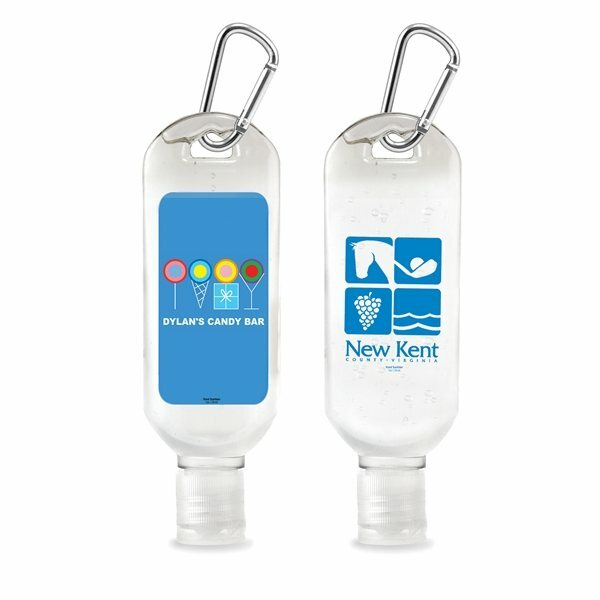 This sanitary accessory comes in a 1 oz / 29 ml bottle equipped with a convenient clip to latch to your belt loop, keys or bag. This handy accessory is perfect for anyone looking to fight germs anywhere at any time. This sanitizer is a great idea for gifts for employees, customers, patients, health clinics, events or your friendly, neighborhood germaphobe! This is a repeat order for our organization---we gave these out last year and everyone loved them!!! The packaging is high quality, our logo is visible, and the sanitizer product smells amazing! Happy with the appearance of our artwork. High quality with a quick turnaround for an emergency order. Veronica's service was amazing! Happy with the quality. Good value for a quality product. Delivered as promised.